6.25 am – that’s the next big timing point. Tomorrow morning, it’s time for more than 2300 athletes to take off on a mission here in Hawaii. Andy is ready to go and very thankful that he is racing tomorrow. Huge thanks to everyone who supported him on his way back to the Ironman World Championship, partners and sponsors, to trainer and physiotherapists and all these great people around. Kona no. 8 means a lot to him, hopefully no. 8 will be a number of luck for Andy. 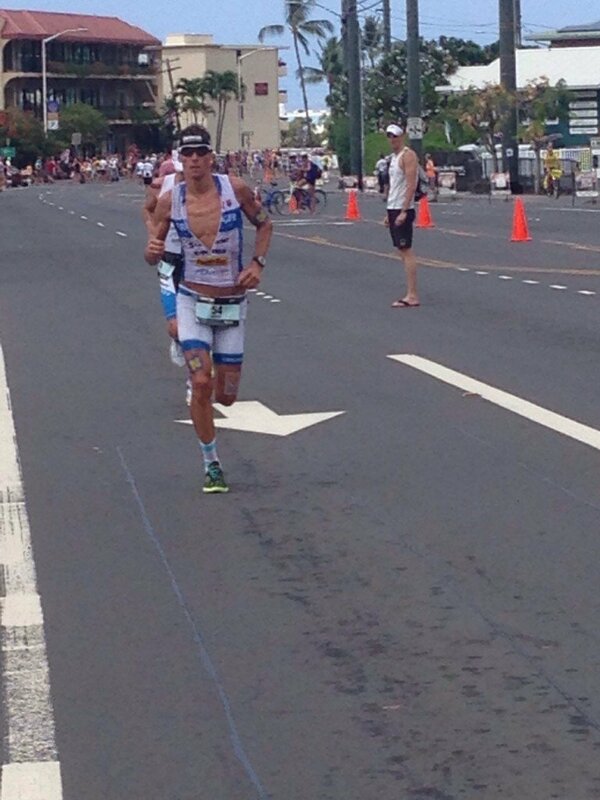 Keep your fingers crossed for him, once the gun goes off tomorrow in Kailua-Kona. Friday is get-ready day in Kona. The race is less than 24 hours away, training’s done and everything is racked and ready for the big day. 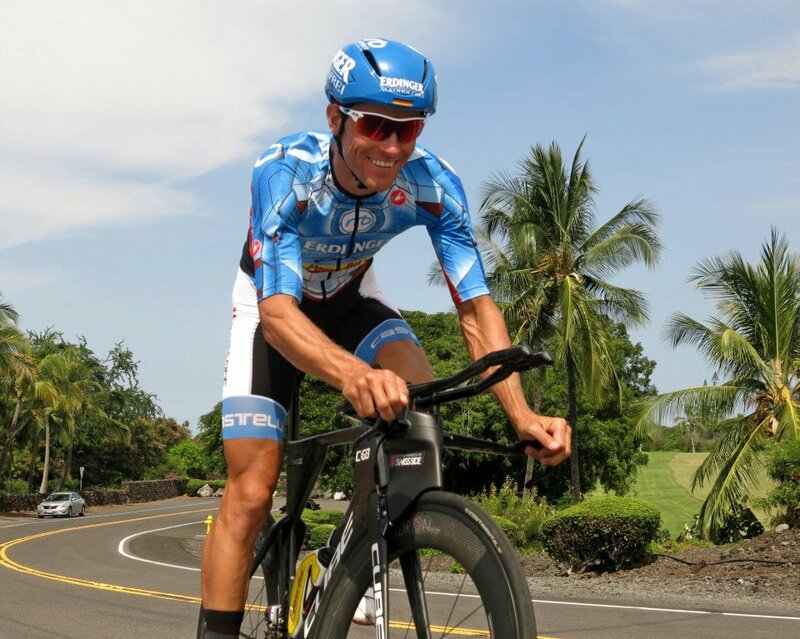 Andy will bring his tt bike to transition this afternoon after a short run and a final ride. 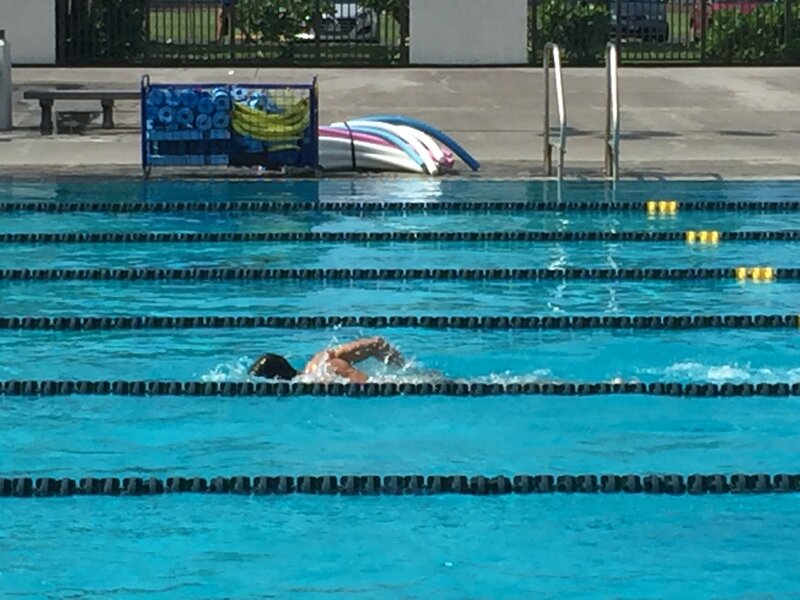 In the evening, he will have a last short swim in Kona, and that’s it. Now nervousness spreads out. Andy has come a long way into this race - and he is ready to go hard on Saturday. After the exciting evening with live tv transmission and following welcome dinner with Erdinger, now on Thursday it feels like calm before the storm. The pro briefing is always a significant point of no return. You don’t talk much here, but always it will a bit about the weather and the wind conditions. 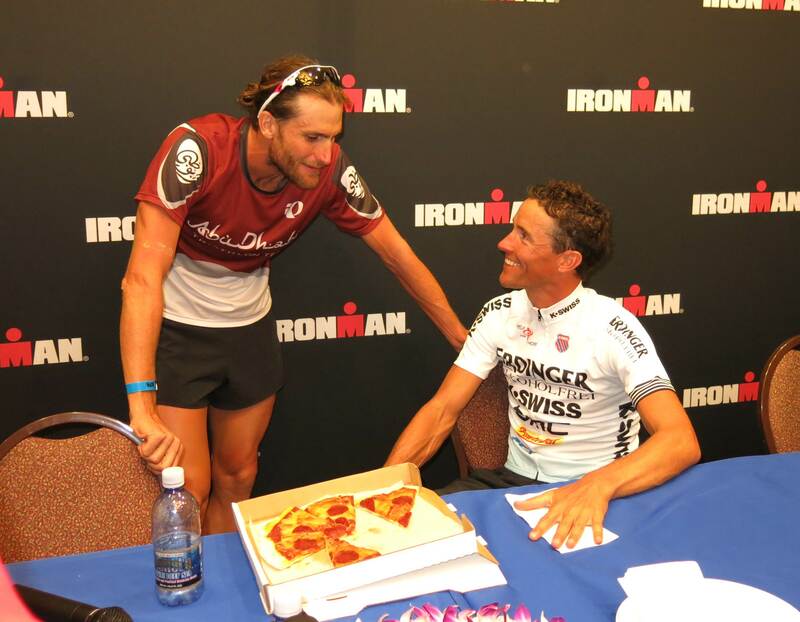 Both have been quite special and quite normal for Kona this week. 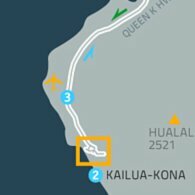 Andy experienced some characteristic moments already earlier this week: You head out on Queen K-Highway and it’s hot, but only 20 kilometers later you get into a furious rain shower with heavy winds and the temperature drops about 15 degrees. And a few minutes later you get dehydrated and it’s like being in a Sauna. In Kona it’s especially important to supply themselves with trace elements and mineral nutrients. Sometimes race week days in Kona seem to have more than 24 hours. Today, Andy is looking forward to be at the Team ERDINGER Alkoholfrei evening to spend some time with nice people enjoying good food. Before there is some work to do on the swim, bike and run side before he will head to a NBC interview in the afternoon. German folks may get up early for an interview that will be part of the ARD and ZDF Morgenmagazin. There will be a live interview starting on Thursday at about 5.40 am German time in the Morgenmagazin. What a race! Andy fought 8 hours 17 minutes and 43 seconds to realize a successful comeback in Kailua-Kona after two tough years. Eventually he took second place despite a flat tire on the bike. 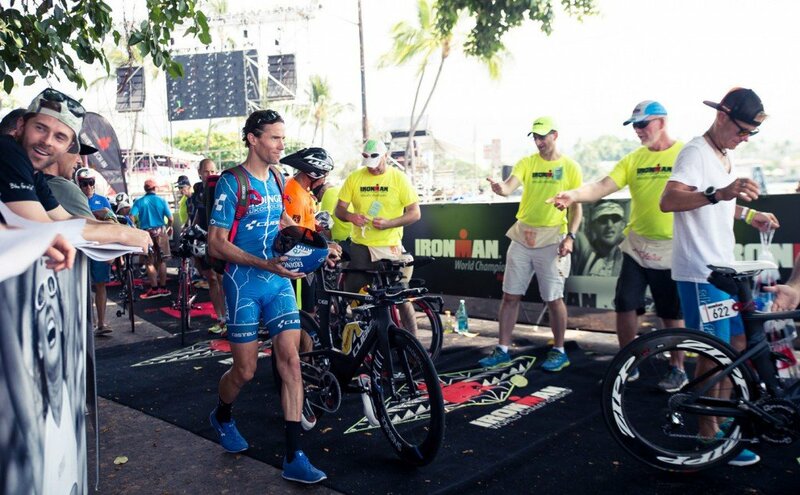 Andy is very grateful for each one out there who kept his fingers crossed for him and for everyone who did undergo the ups and downs with him during the 2015 Ironman Hawaii. Thanks to this result and to your support, this day has been the kick-off for the project Kona 2016.
and bis thanks to our coach Wolfram Bott. THANK YOU!!! 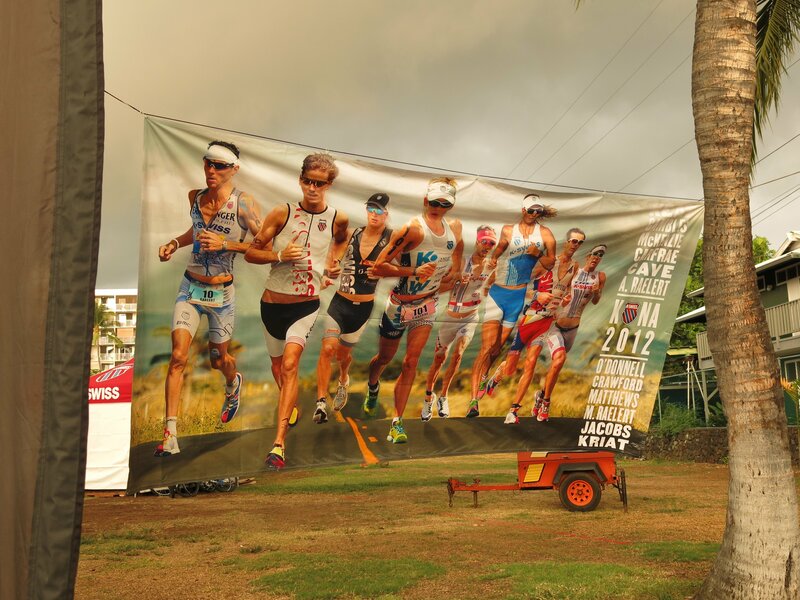 The 2015 Ironman Hawaii is about to start. The race of the year which Andy has been working for in recent months. The field is ready, all athletes, whether participating as a professional or racing in an age group, feel the same nervousness, they are all excited. The training is behind all the athletes, some little issues, some emotional heights and some depths. But now, you can't change anything, the time has come for everybody in this race to make the best out of it. It is Andy's clear goal to bring his bib no. 35 in a good style to the finish line - as fast as possible. 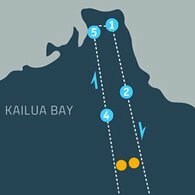 The gun goes off in Kailua-Kona at 6.25 local time. Thanks for all your wishes and support. And: Keep your fingers crossed for Andy. 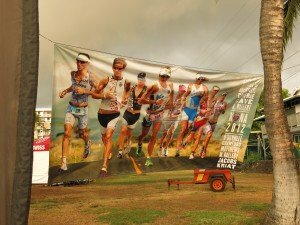 Follow the IRONMAN World Championship race action on IRONMAN.com and on Twitter at @IronmanTri. Join the conversation using the hashtag #IMKona. Let's get ready to rumble, CUBE Aerium C: 62. The show starts this afternoon for Andy's bike. At noon the bike check-in starts at the pier. All things are prepared, there will be very little workouts in all three disciplines on the day before the big day. It's all about getting a good feeling and to catch with a bit of race speed. The body has rested, the race equipment is ready. A special thanks goes to the crews of Swiss Side and CUBE. 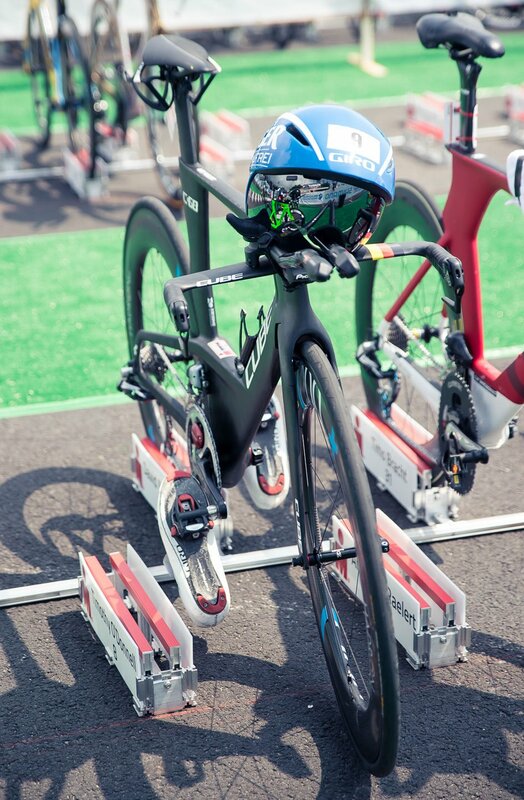 In cooperation with CUBE an aero package for Kona was designed for Andy. 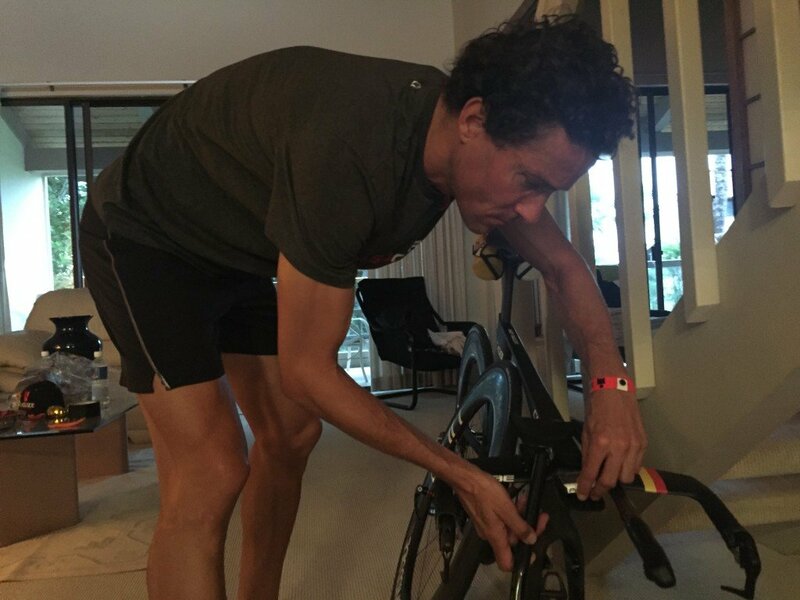 He will race the Ironman World Championship with a real "Instrumented Bike" which is based on the CUBE Aerium C: 62. He is feeling good on this bike, Andy hopes for a top bike performance. The Swiss Side aero wheels brought up great training impressions on the highway. Including the CeramicSpeed bearings these wheels are moving really straight forward, and Andy does, too. Thanks to CeramicSpeed for the great support. Also thanks to Castelli for the whole equipment including the new race suit. The right feeling for the water is right there, running shape is right there, Andy feels pretty well on the bike, too. Today it's the beginning of the showdown. A lot of people follow the bike check-in action at the pier, many people watch the moments when the pro athletes bring their bikes. It is a gun goes off befor the fun goes off. You have no chance to escape the nervousness. Today, there is not much training to do, the race is only two days away. Today, especially the Pro-briefing is on Andy’s schedule. All pro athletes will be there. This will be a bit of a check-around of all pro athletes, everyone knows that it no return now. That is also the right occasion to pick up the bib number in the race hotel at the Pier. Andy is ready to go into the race with #35. When you receive the numbers for the helmet and for the bike, it is a special moment. It’s somehow like a little when-the-gun-goes-off. Then it’s time to head back to the Condo through super crowded Alii Drive back. This year, Andy shares his apartment with Wolfram who’s here since a week after having finished his training camp in Houston. Wolfram's girlfriend Inga has arrived from Germany in Kona, and Andy's brother Sven, too. Tonight, it’s time to bring the carboloading on. Two days to go to the race, it’s time to fill the tank with some good food. Thanks a lot Sarah vor your great pictures!! October 10th. 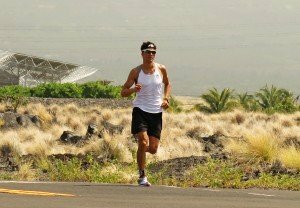 That is the BIG date on the calendar, and it is just exactly the same day as back in 2009 when Andy started in Kona for the first time back. Andy discovered a lot of different stories here in Kona in the past years, most of all he has good and positive memories of this race. Also from the not-so-great experience you can draw positive things and you can learn from it, especially for such a difficult race like this one in Hawaii. 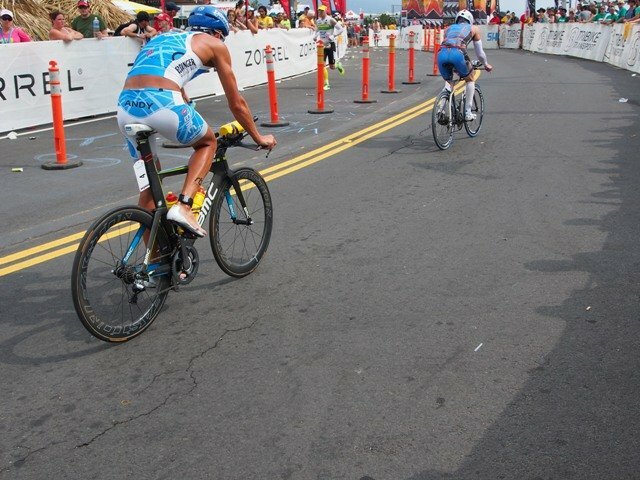 The atmosphere in Kona is really impressive, it seems as if the city fills from hour to hour. Since Monday morning it is getting much more intense at the pier. Today, Andy has a little brick session ahead. Wolfram put a morning swim into his training program and a quick two-hour bike and run warm-up workout for the big and hot race on Saturday. 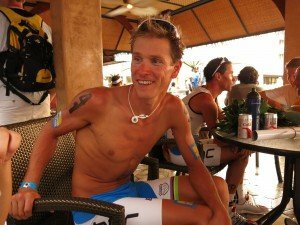 Andy is back on the Big Island to race the Ironman Hawai for the seventh time. On October 10 the curtain will open again for the biggest race of the year. Of course, there are things that never change here in Kona. The hot and humid welcome at the airport or the Bay of Kailua in front of the tiny beach at the pier, where life will take place in the next few days. Then you have to stay a first shock when you enter a supermarket and you meet the freezing cold air conditioning. But it is always a little like you reach this place for the first time ever in your life. Or maybe better: in every year, it is the first all-time touch for the seventh consecutive year. You get to know the fascinating sound of the ocean, the first training in the heat, the extremely high need for water. And you are happy to see many familiar faces: athletes, friends, a lot of good people. 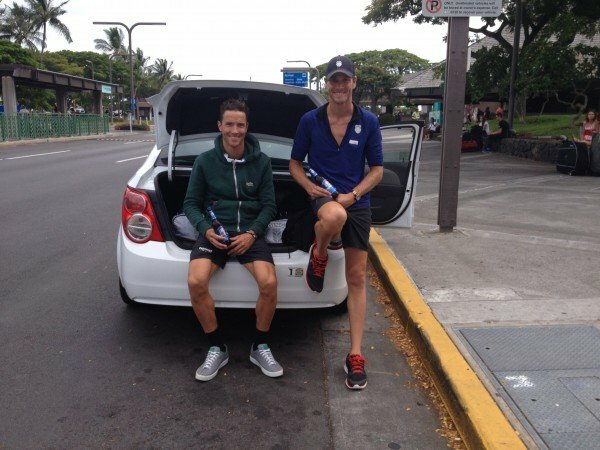 Andy is in Kona now for less than a week and the effects of the jetlag are downsizing day by day. “Step by step I get used to it," he says. First interviews and photo shoots are already behind, but the most exciting thing is still to come. The big Saturday is almost touchable. The race is over. 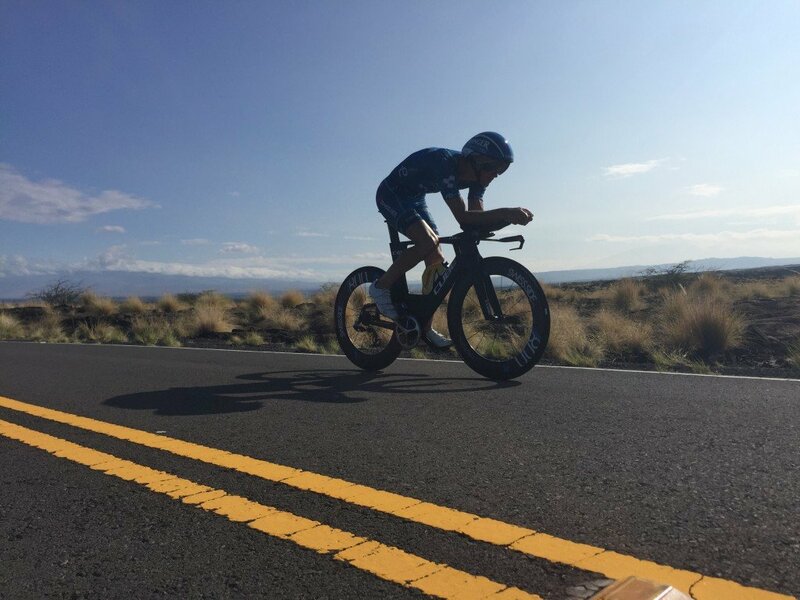 The Ironman Hawaii is one of the most special races in the world of sports, it is still impossible to plan what will go on in this race. Andy has finished the race. He started great into the competition, but unfortunately he had serious stomach issues during the run. These problems suddenly occured at the half marathon mark, so Andy had to bury his plans. But his sticked to his plan to finish the race - and he did. Emotionally, he is totally down, but he wants to say thank you to everybody for a great support out there on the course and good thoughts. Huge congrats to Sebastian Kienle - what a magnificent success! 4.30 a.m. on race day. 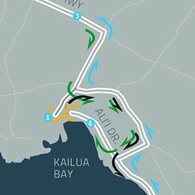 Welcome to Kaiilua-Kona which is absolutely not a sleeping city. It’s still dark, but it’s Ironman Hawaii day 2014, there is no return. Thousands of people have written millions of words about this journey, the race, the myth. 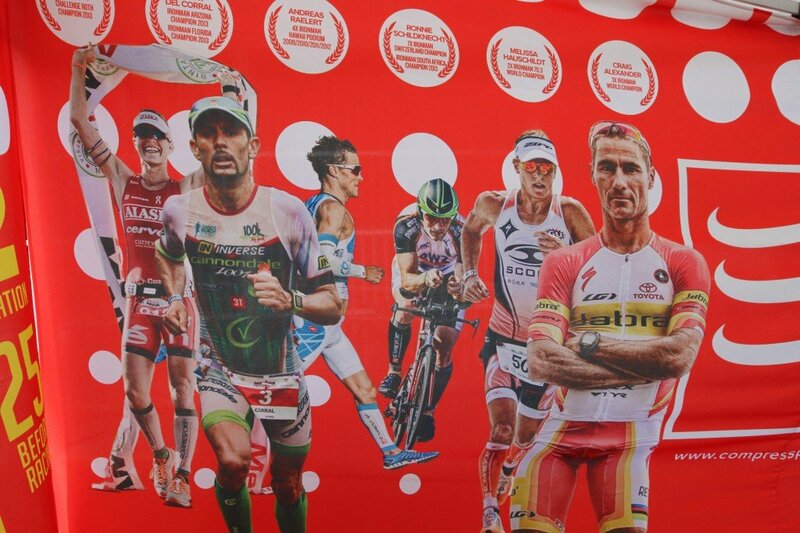 Today we will discover a new episode of the Ironman Hawaii. Andy is excited and nervous. The race will start in about two hours, at 6.25 a.m. the gun goes off for the pro men. This is the moment we have worked for so long, this is the race of the year for more than 2000 athletes from all over the world. 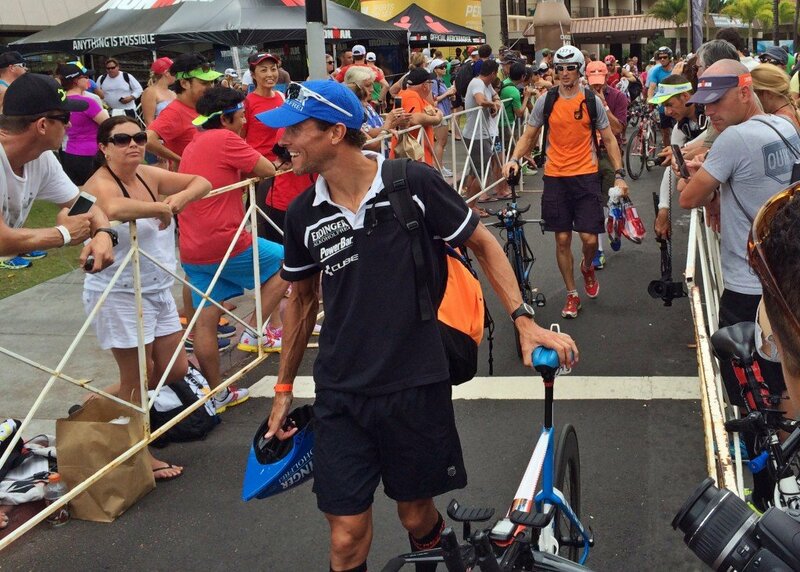 It’s going to be a tough one today – and Andy is happy to be part of it here in Kona today. He wants to say thanks, for your support and good wishes in the past months and on the way to Kona – and for your support today. Please keep your fingers crossed for all athletes out there on the course. That’s the famous point of no return! 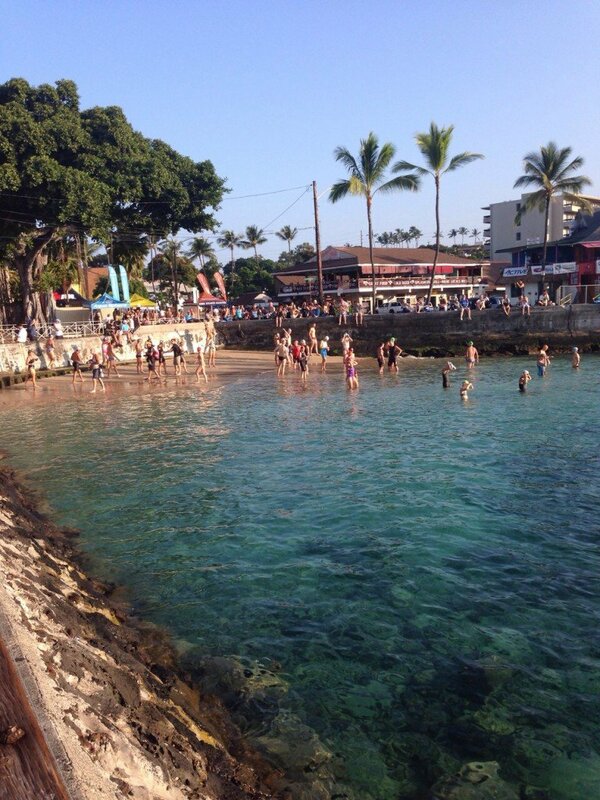 Today there is the Bike Check-in at the Pier of Kailua-Kona. From noon to 5.30 p.m. the bikes of more than 2000 athletes will be checked-in at the transition. This Friday means a long day for Andy and all the other athletes, they have to think about something else than the great race on Saturday. A lot of the Ironman participants started at the Underpants Run on Thursday while Andy had a TV interview, then he relaxed and recovered a bit throughout the rest of the day. There is an extreme anticipation and a lot of tension coming up especially the day before the race, so athletes really appreciate it to do some short training sessions on the final day of their preparation. 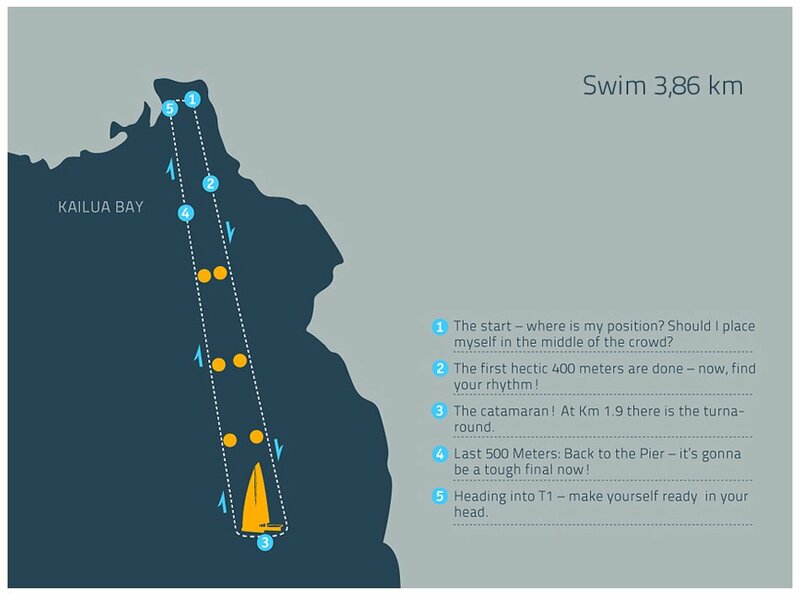 Andy will head into the water for a short swim early in the morning, then he will get on his bike for a few miles. After the Bike Check-in there will be a last pre-race run. 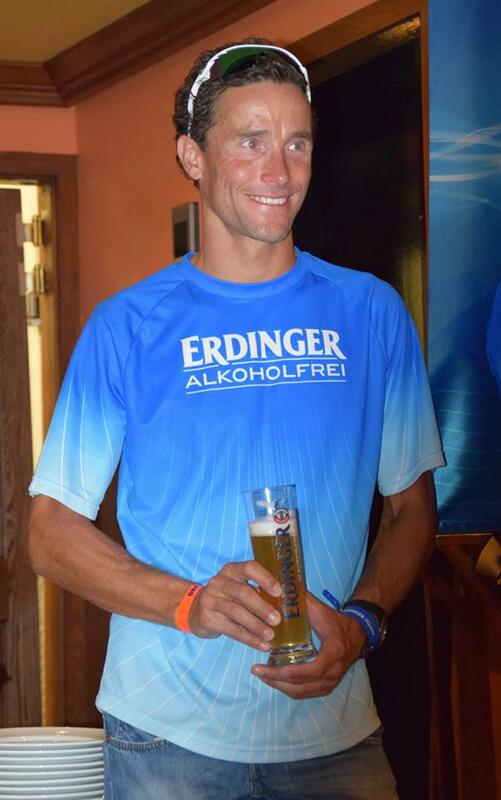 So easy and nice the "Erdinger Abend" has been yesterday night, so serious and tough will it be from today on. The training for the Ironman Hawaii is done​​, now it is important to rest and recover on Thursday and Friday - to be ready for the big race day. For Andy, the final phase of the pre-race preparation starts with today's race briefing for all pro athletes definitely. "This is the moment in which you know that the Games begin," says Andy. In the race briefing all professionals meet each other for the first time in the race week, and there's a sizzling mix of anticipation, tension and nervousness. Andy has picked up his bib number, and he is already wearing the wristband for all "Pro Athletes". Although the mental preparation for Saturday has began weeks ago, it's heating up right now, the gun goes off quite soon. 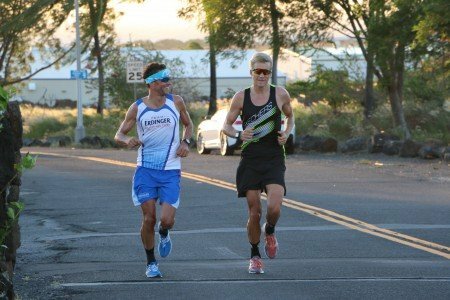 During the race week in Kona, Andy is focusing on only a few business things besides training - he really wants to concentrate on the race on Saturday. 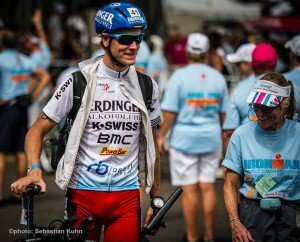 Tonight he will have a very special meeting with Raelert-Brothers’ long-time partner Erdinger at the “Erdinger Abend” in Kona. Although it is important to stay focused during race week, Andy is really looking forward to take part in this event. This evening is a very special one during the race week in Kona, it is a real German tradition. 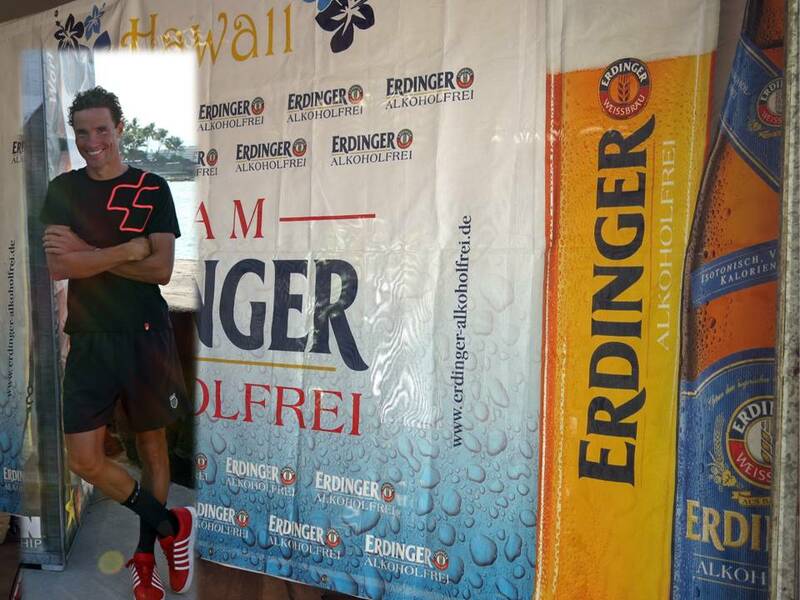 Erdinger has invited as well athletes and media, it’s an event full of Bavarian friendliness and Hawaiian spirit. So, this will be the nice part of the day. But, as always: work first. Andy’s coach Wolfram Bott has created a nice workout-schedule for this week. Today Andy will hit the road for a run first, later today it’s time for a swim session – and then for the “Erdinger Abend”. 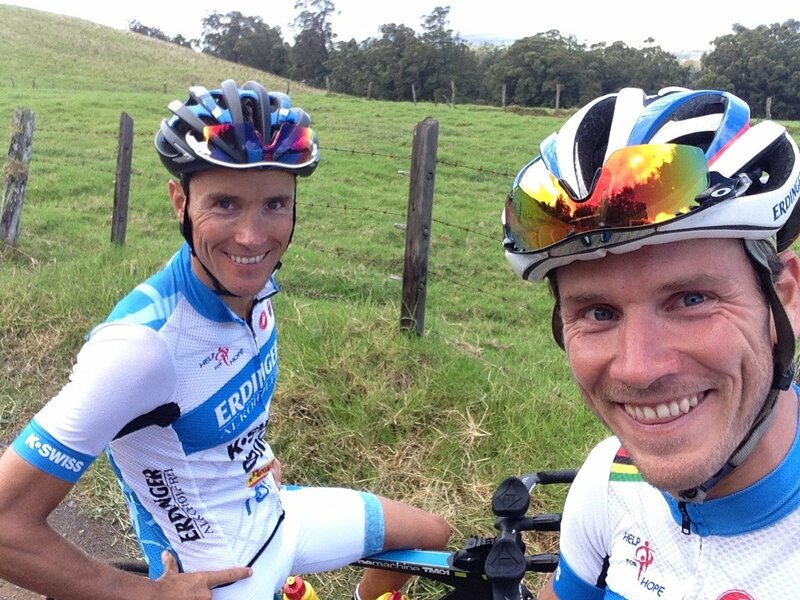 During his days in Kona, Andy is training a lot together with German Nils Frommhold. 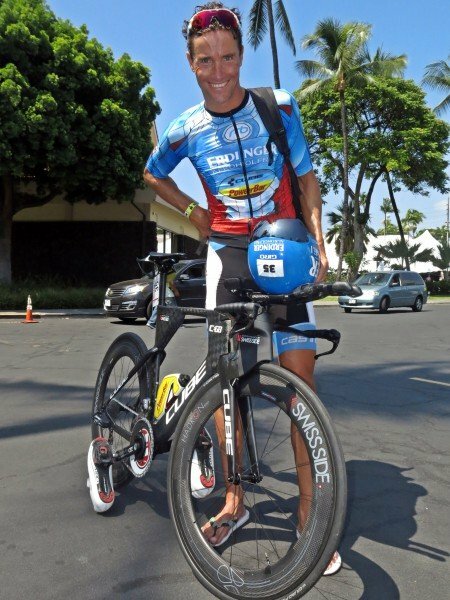 But besides this sympathetic colleague Andy is partnering as well with another companion in training, the CUBE Aerium Kona edition. Besides the “normal” features of this race bike, Andy’s Kona gear looks great this year thanks to the artwork and design of CUBE. This bike will be a unique piece in the transition on Saturday. The mainly blue and red colored design looks not only great, but it is as well a fast companion out there on the Highway. Andy has tested the bike in the past days, and he really enjoyed it. This Tuesday, Andy will have a swim in the morning and a bike ride including some intervals in the afternoon which will be followed by a run. 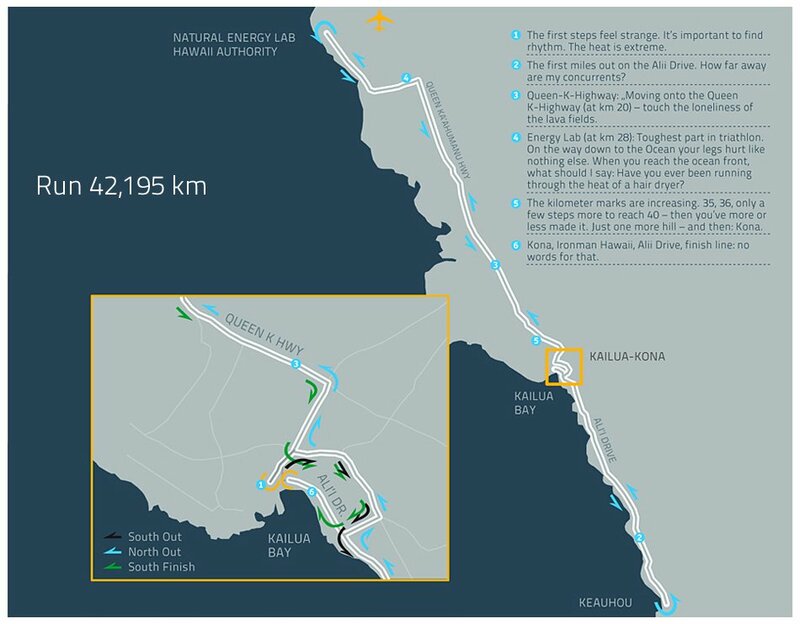 Later that afternoon, the Parade of Nations and the opening of the Ironman Expo will mark the start of the final stage of race preparation. The shorter the training sessions become, the nearer is race day. 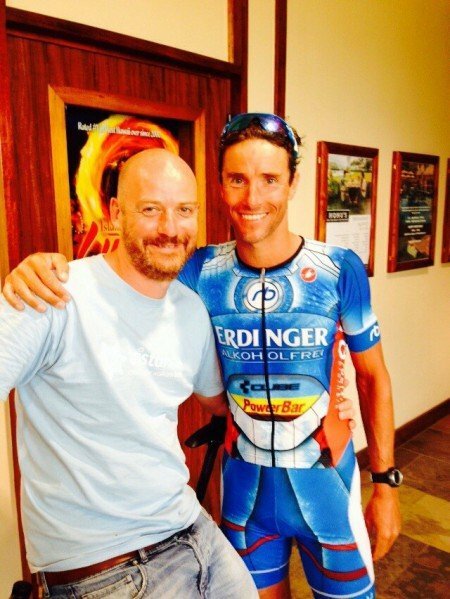 Andy has started into his acclimatization in Kona pretty well. After the turbulent arrival due to delayed flights he is able to deal with the heat and is preparing for the race, which is approaching. Only six days to go! The temperatures are pretty high in Hawaii, but compared to Clermont the difference is not that huge. The training group of coach Wolfram Bott seems to be well prepared for the conditions of the Big Island. Because of more or less frequent rain in Clermont, it was hot and humid in Florida very often. Sometimes in Florida have been slightly higher than in Kona. Overall, the training of the past weeks in Clermont has been tiring, but maybe it just pays off now. 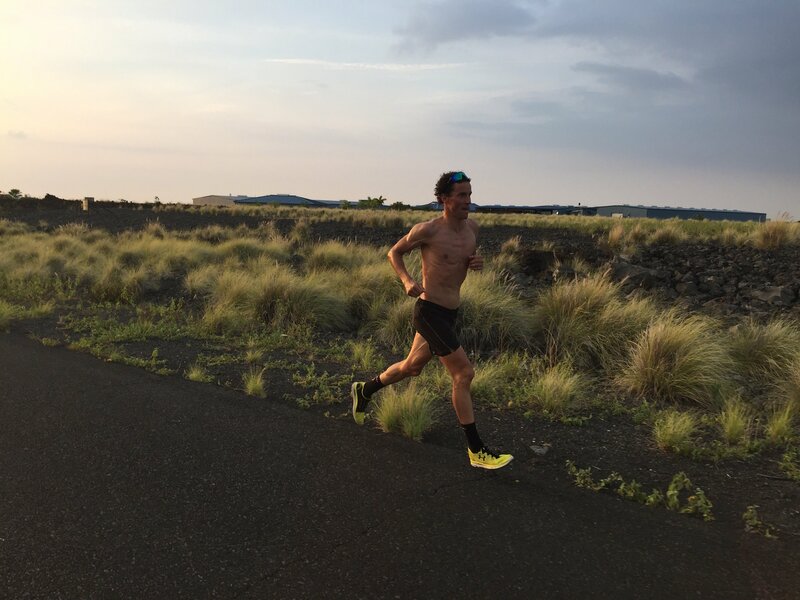 In the last days before the Ironman World Championship on Saturday it's all about the final training sessions, during the tapering phase there will be a lot of recovery and only some priorities in speed work. 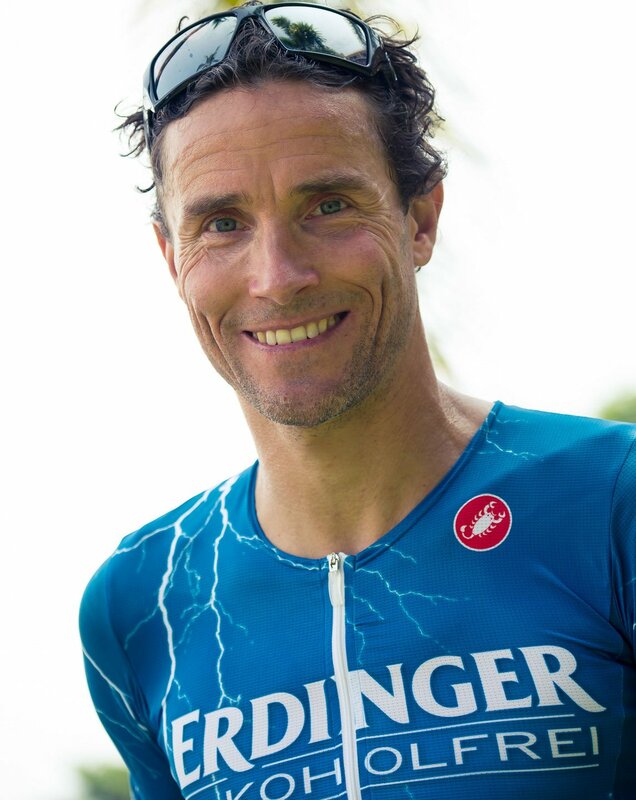 Yesterday, Andy was off for a swim early in the morning, followed by a pretty warm afternoon ride with Nils Frommhold out on the bike course – and a longer evening run was scheduled to complete a day of full training. 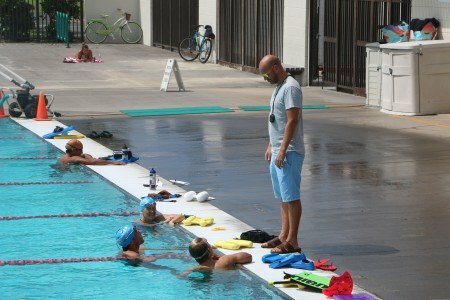 After this intense Saturday, there was only an extended swim session on on Sunday in the Kona Quatics Center followed by a photo shoot with Compressport and German Triathlon Magazine. The rest of the day was dedicated to a rest: Andy put his feet up and relaxed a bit, because he will face a tight schedule during the race week. Aloha! 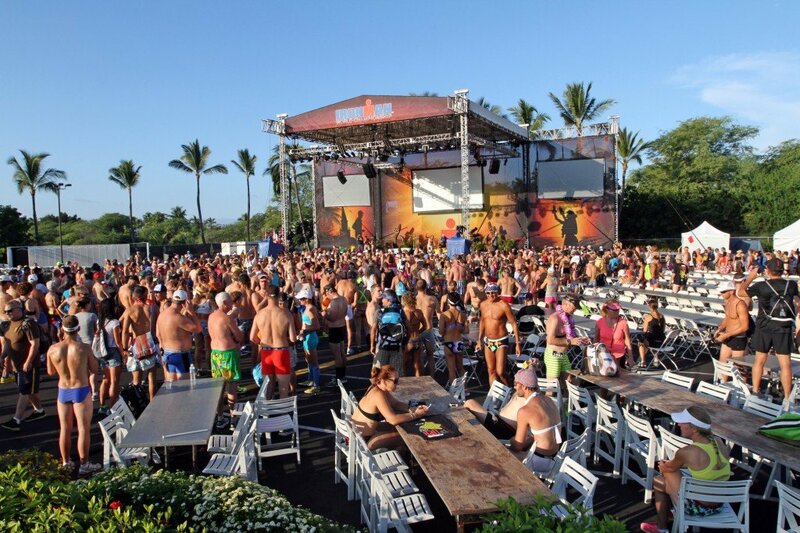 Kona, 2014, Ironman World Championship for the sixth time in a row. Andy has arrived on the Big Island. 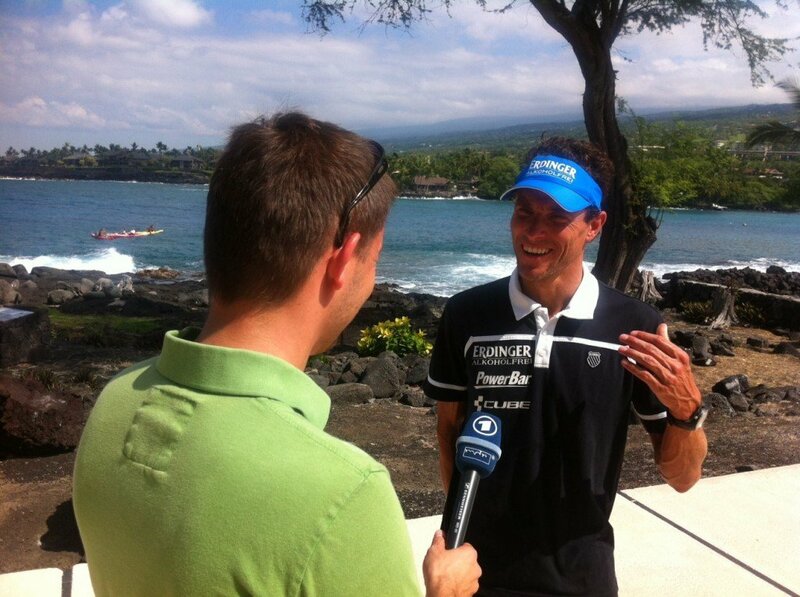 "Nothing changed since I came here for the first time in 2009," told Andy in a first phone call from Kona. "When you jump out off the aircraft and you get to see all the people with the Lei greetings, you know, you're in Kona - and it's getting intense from now on. You can already feel the heat and the humidity a few moments after your arrival at the airport." 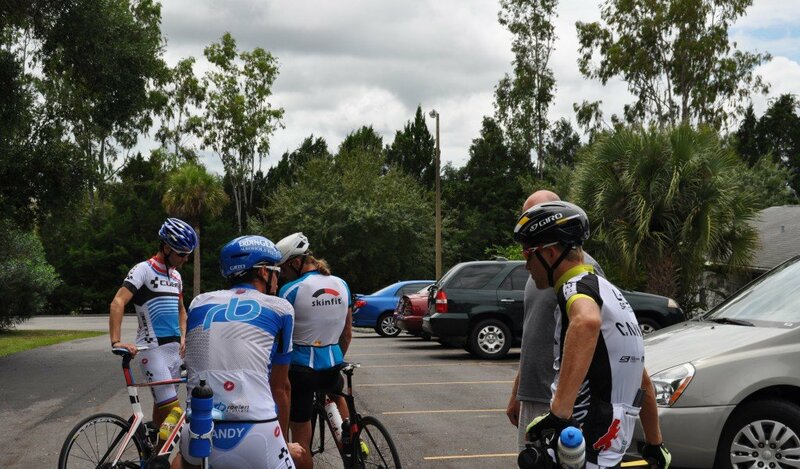 Together with Micha, Andy has been in a training camp in Florida the two weeks before. So he got a little bit used to the heat, although they had some rain in Florida as well. It's was a huge help for Andy that it has been a - more or less - short flight from Florida to the Big Island instead of flying the whole way from Europe to Kona. The training camp in Clermont with Micha, Nils Frommhold, Christian Brader and Boris Stein brought up some good results, a first nice touch of a Hawaiian atmosphere and - thanks to our coach Wolfram Bott – as well a couple of hard days. "After those two weeks and my camp at Fuerteventura before I feel prepared for the next days," says Andy. 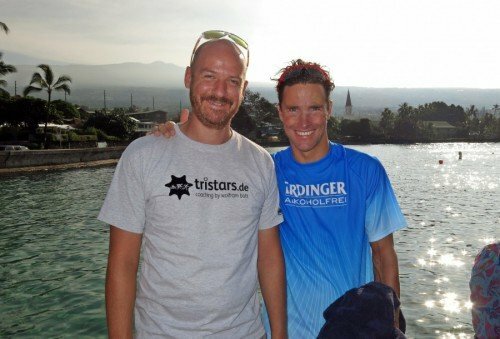 An interesting week in Kona will come up for the Raelert-Brothers, they look forward to sharing those moments with you. The bell rings at 3.30 a.m. Micha accompanies Andy to the pier, then bodymarking for bib number 4, and then Andy is on the way to the start. 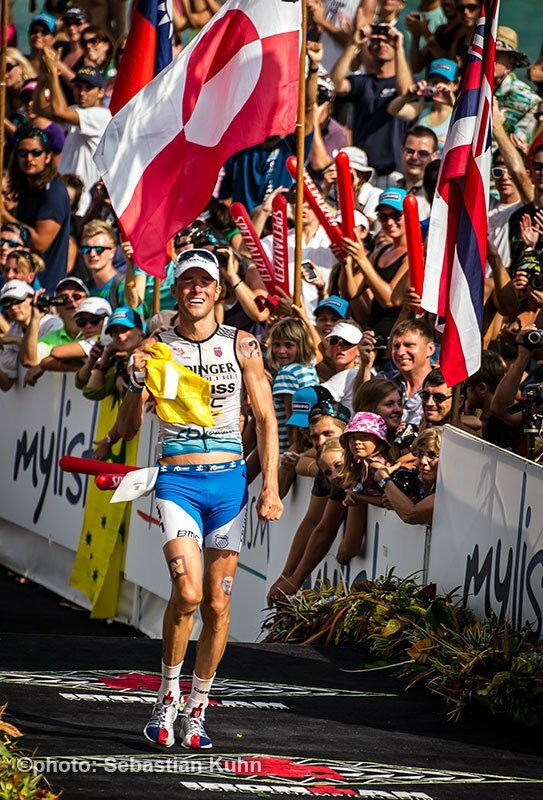 At 6.30 a.m. the gun goes off – Kona 2013. Andy is now on his own – but he gets the full support from Micha, coach Wolfram Bott and the whole team. Micha is co-hosting in the live TV show of german broadcaster Hessischer Rundfunk and later he is on track to support Andy. But it is not the day, that all have hoped for. After 53:21 Andy exits the water and moves onto the bike course together with Sebastian Kienle. But there the problems begin, because Andy has a pinched nerve. "I tried to go on," he says in the evening after the race, "but after 100 kilometers I felt numbness." He has to put one foot out of his shoes again and again and to stretch his leg. "I was still hoping that I can at least finish the race." But he reaches T2 only under major problems and has to drop out of the race. "It is the first DNF of my career," he says, "for me it is one of the most disappointing moments in sports in recent years. If it would have been possible, I would have brought the race to the finish line." Three little kicks, then the training for the Ironman Hawaii is done. The last day before the race is always special. Is the journey already completed? Hard to believe that the months of preparation come to an end and the grand finale begins tomorrow morning at 6.30 a.m. Today, there is a last big breakfast for Andy and Micha, tomorrow morning for sure it will be a bit shorter and quicker. But before that they had a quick run on their program. Micha was doing photographs and interviews in the meantime, before they both went to Stefano in order to check Andys BMC, and together they went to the bike check-in. The electric moments always come up during the day before the race, all athletes are nervous, every good wish for the race is a boost and at the same time it also brings new excitement. It's a rollercoaster of emotions - but with training you can escape a little. At the end of this Friday they jump into the water again, and then it's time to rest. Just one more sleep - then the gun goes off for a race for which Andy has been working for months. Thursday before the race in Kona is always the day with the official things: First the press conference, then the pro meeting plus TV interviews and photo shootings. It is an exciting, but also a full program. With the press conference began - for those who were pleased to sit in this media conference - the seriousness of the last almost 48 hours. The race is just around the corner - and Andy and Micha get a comprehensive service and support in Kona, which they really enjoy: Stefano Cattai from BMC is not only around with the drivers of the professional BMC cycling team at the Tour de France, the Giro and so many other major events, but he is also an important partner for the Raelert-Brothers at the highlight races. Andy and Michael really like it to have him by their side, even today in the late afternoon for the setup of Andy's BMC Team Machine TM01. The electronic gear shifters, the chain, the arm pads on the handlebars, the seatpost, the Easton cycling wheels with the new Conti tires - all this is supposed to function optimally on Saturday. Wolfram Bott also followed the setup session as being Andy's and Micha's coach. He finally analyses the bike data after the races to find out how the race went on during the bike leg. After this setup was done, it was time for Andy and Micha to head home again and to relax. Tomorrow is the last day before the race. Three days to wait for the race. 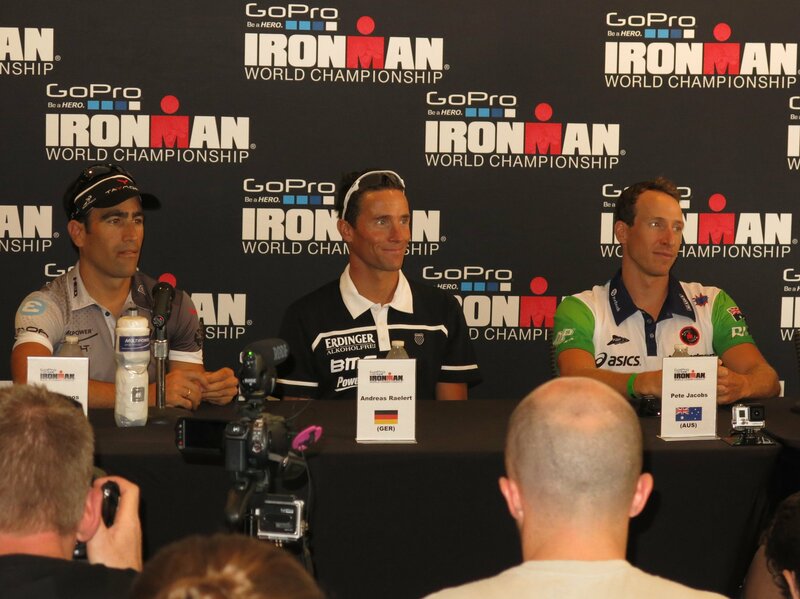 It is good for Andy and Micha to see a few familiar faces and distract a little from all the action in Kona. 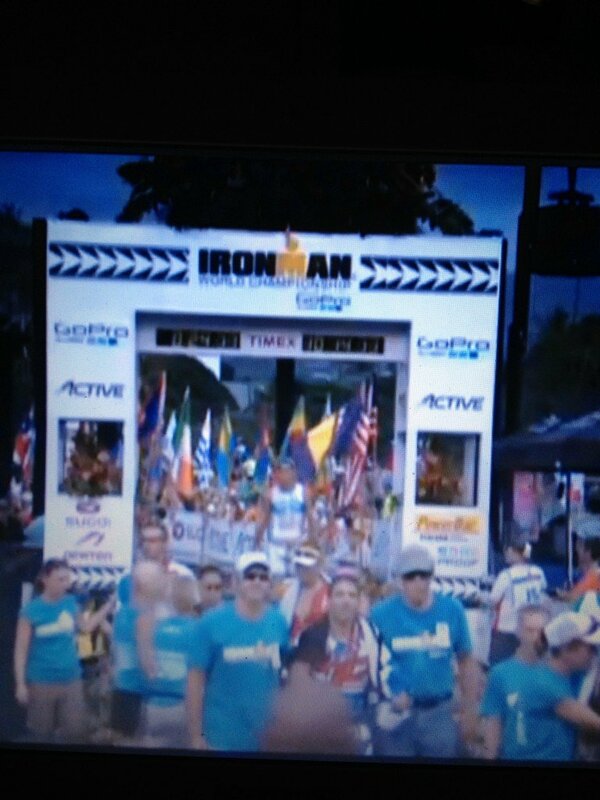 Kona is inhaling the atmosphere of Ironman deeply, you will meet the event everywhere. 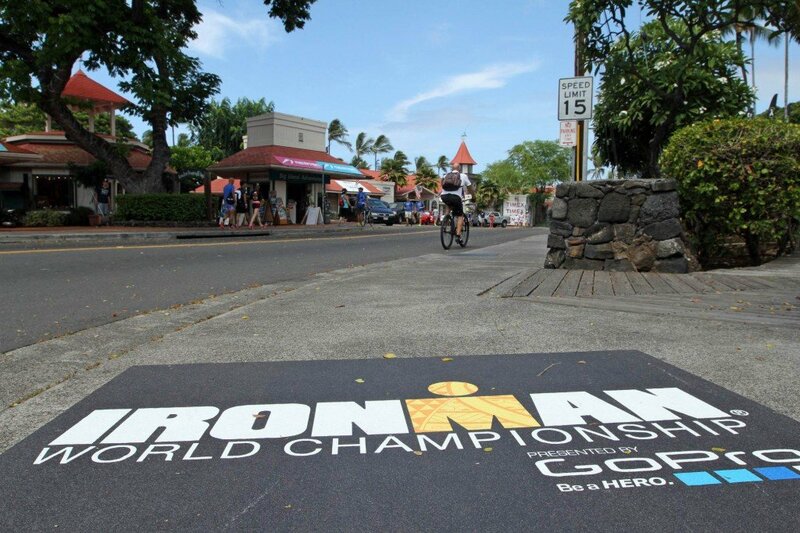 The city offers Ironman-breakfast, tri shirts, the Lava Java Cafe is totally crowded. Every time it is kind of a new madness, what is happening here in race week. It is always a challenge to both enjoy all this and to focus on your own during race week. 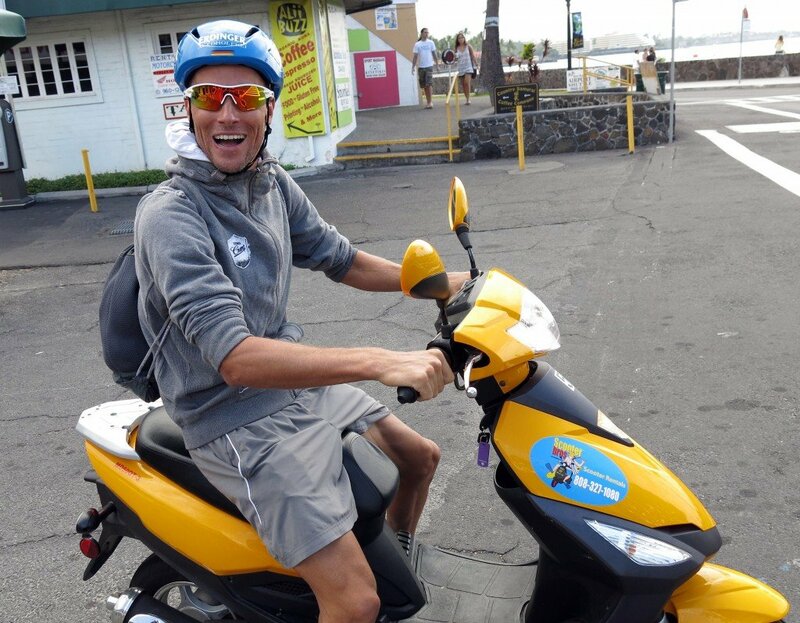 Micha is a great support for Andy here in Kona, he was already an important support on Maui. The two would really love to walk together to the starting line, but unfortunately you can not plan everything as you would wish. It is also incredibly nice for Andy that the rehab of Micha is done and that he's on his way back to the top. 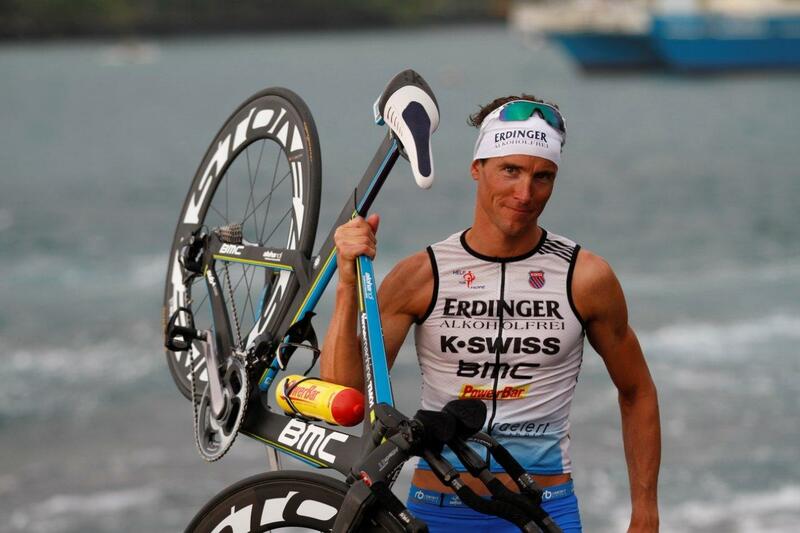 He can use the 2013 Kona race also to motivate himself for the next joint Raelert-Brothers event in October 2014. 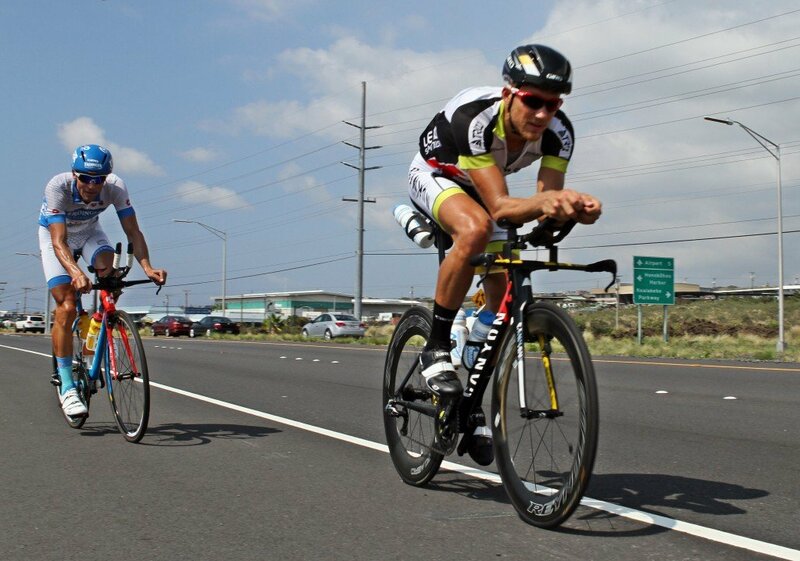 Together they went to the pier in the morning to swim, during the afternoon they rode their bikes on the Queen K Highway, before they entered an invitational event of their partner Erdinger Alkoholfrei. 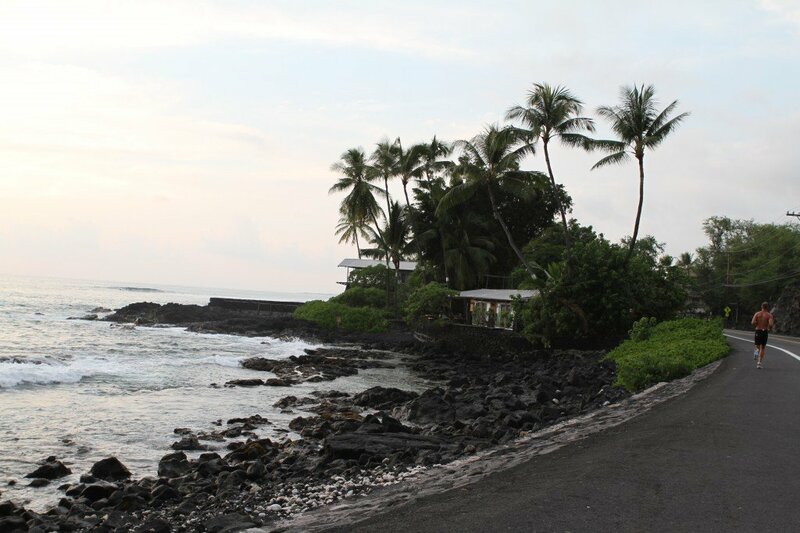 This "Erdinger Abend" is a traditional event in Kona, the Raelert-Brothers partner invites on Alii Drive to have dinner in a beautiful garden in front of the ocean. 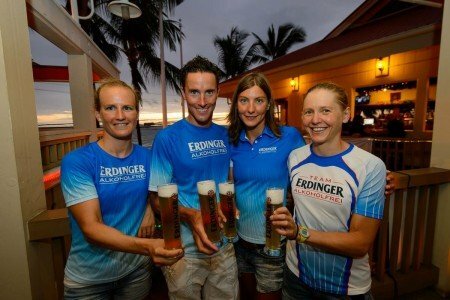 A lot of professional athletes and agegroup athletes join in here together, Erdinger indeed has a great team of athletes to start in Hawaii again. There are so many events in such a race week, that some of the professional athletes try to protect themself a little to relax for the event and to keep the level of concentration high. Also you feel very tired during the tapering phase. The training volume is down, and the body gathers strength for the race. This is a real automatism here in Kona. 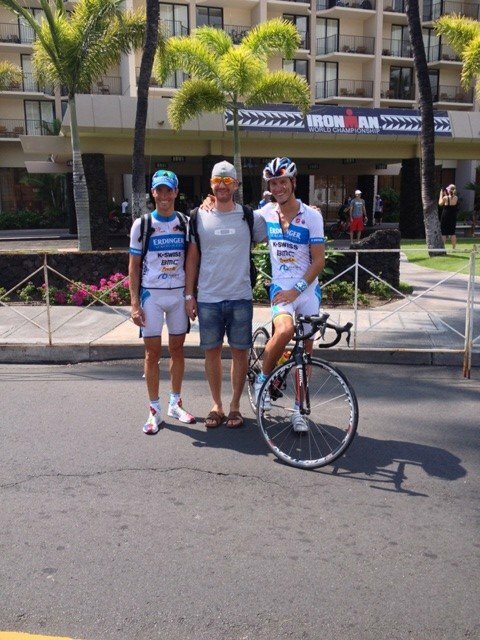 Unfortunately, the flight from Maui to Kona was delayed two hours today, but Wolfram, Micha and Andy arrived well in Kona. "Four years ago I landed here at the Keahole Airport Kailua-Kona for the first time to start at the Ironman World Championship", says Andy. "I don't feel as if my first start here in 2009 is so long ago." Many things ins sports have happened since then, but arriving at that airport always remains something special not only for Andy and Micha. 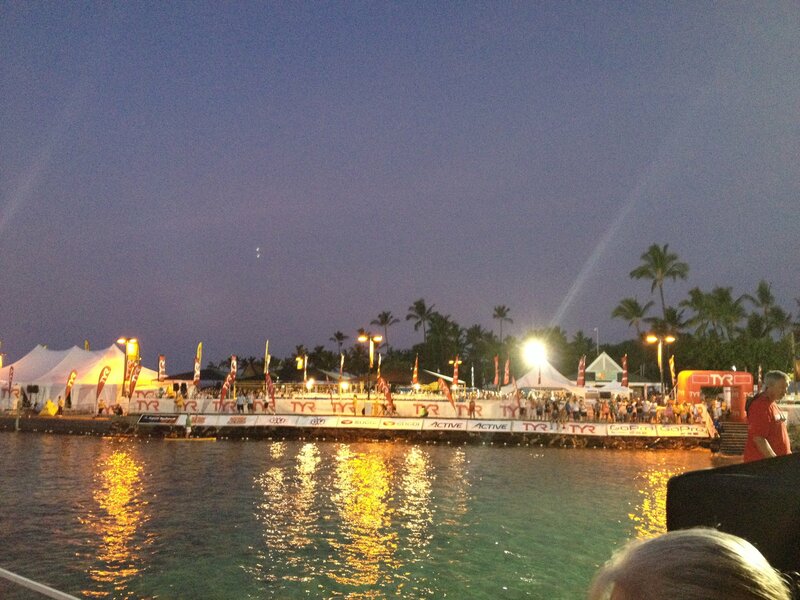 Because it is a challenge for all participants to be at the starting line at the Ironman Hawaii. But at the same time it is also a gift that you are allowed be here. 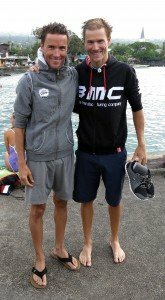 The Rocky Mountains near Boulder have been a unique beauty for the Raelert-Brothers during their two training camps this season - and as well the Big Island and the atmosphere in Kona are unique. Of course the heat, the wind and the humidity in the lava desert are not easier for Andy this year than in the past years. 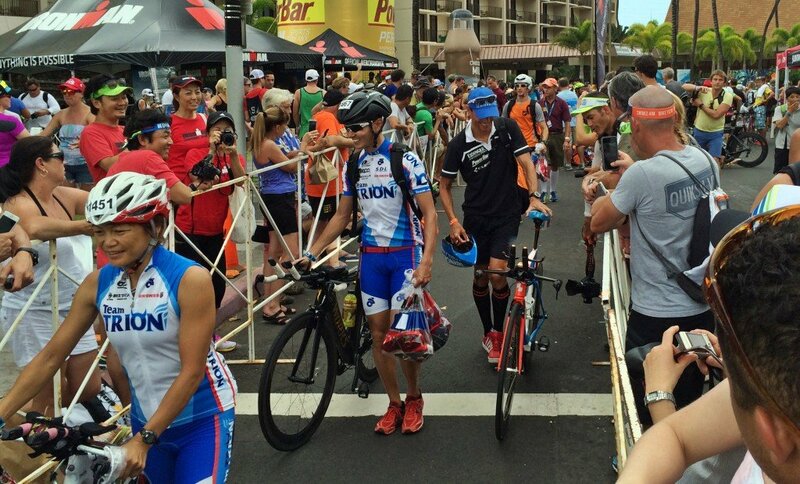 But the arrival in Kona is something outstanding in the colorful world of triathlon. 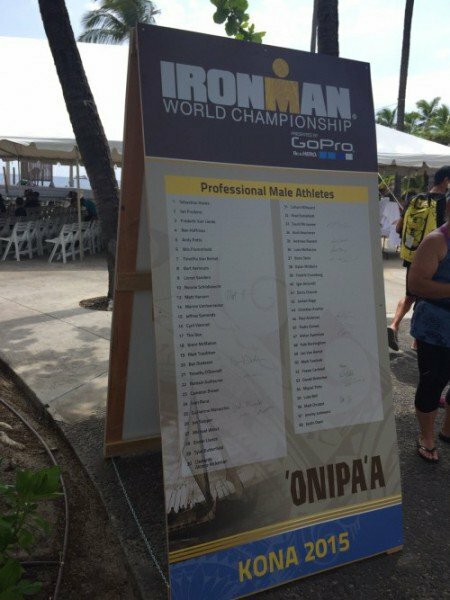 It is indiscribably to get back to the pier in Kona and see so many different people with the same goal. Andy and Micha got used to the cooled-down supermarkets, to the big cars and to a couple of XXL portions in some restaurant, but Kona is different from everything that they have discovered in Boulder and on Maui. Today the task for the two brothers was to settle in a little bit. In the morning theid had their last swim session Maui and on the Big Island they jumped on their bikes for a short tour in the afternoon after arriving in Kona. It's time to pack our bags here. It's time to leave once again in this pretty long season, but it is for the last time ahead of the final race of the season. In the past few weeks we lived in Paia Bay House on Maui and now we have to get ready for Kona. 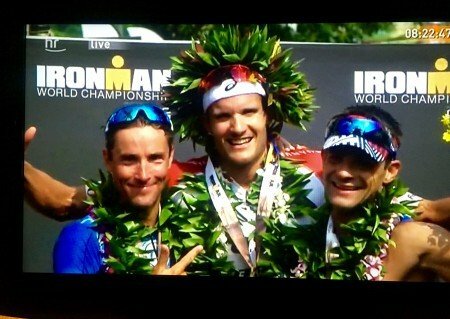 Runner-up in Kona. Honestly, who would have expected this after Andy's swim time and this huge gap? It's always worth to fight and to remain strong, even if it sometimes seems hopeless already, because the ultimate goal has gone so far away. 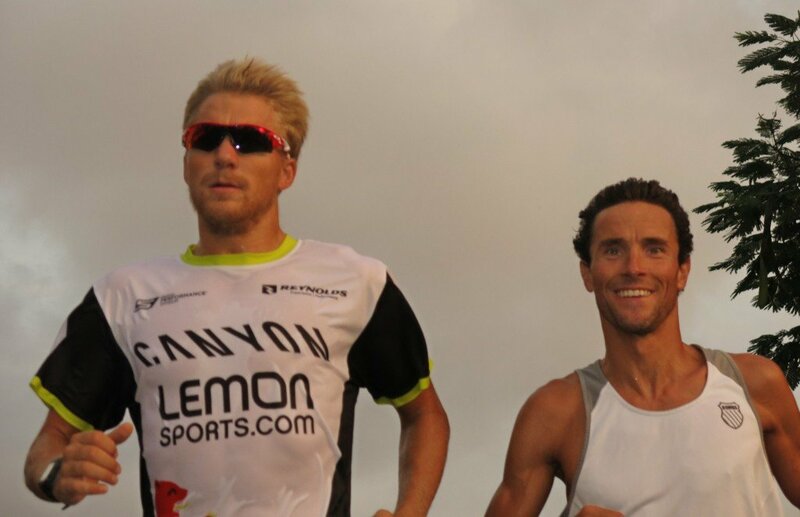 A long, hard day in Kona is now behind the Raelert-Brothers. This day was not totally perfect, especially Micha’s plans haven't work out the way they should have, but at the end Andy's strong finish is a joint success of both Raelert-Brothers. This second place was also reachable because you have helped and kept your fingers crossed for Andy and Micha. Thank you for your support on race day and in the past months! How should we describe this feeling? The day of the year has come. You have done so much for this, you’ve training for so long, you’ve been focussing everything on that one single day – and you wake up very early in the morning, and the day has come. It's a mixture of extreme tension and nervousness, excitement and confidence. 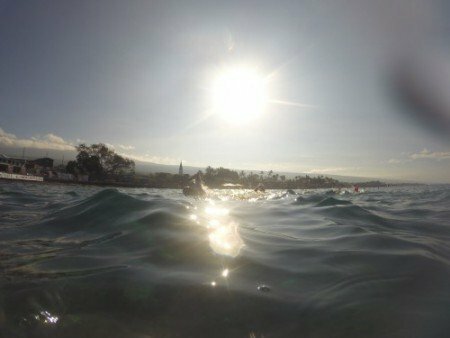 Kona, October 13th 2012. Today it’s time to deliver. 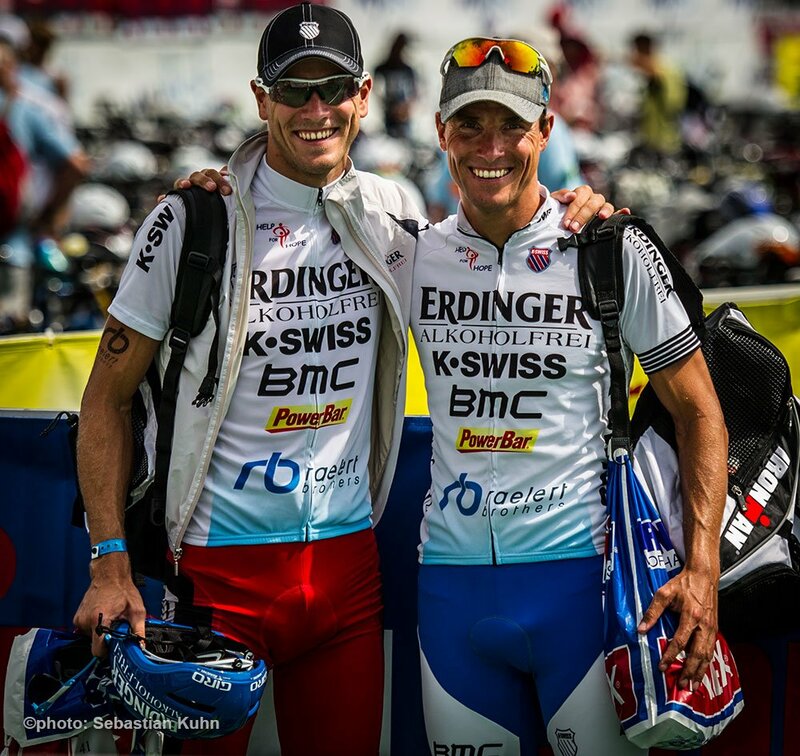 Keep your fingers crossed for the Raelert-Brothers! We have arrived. 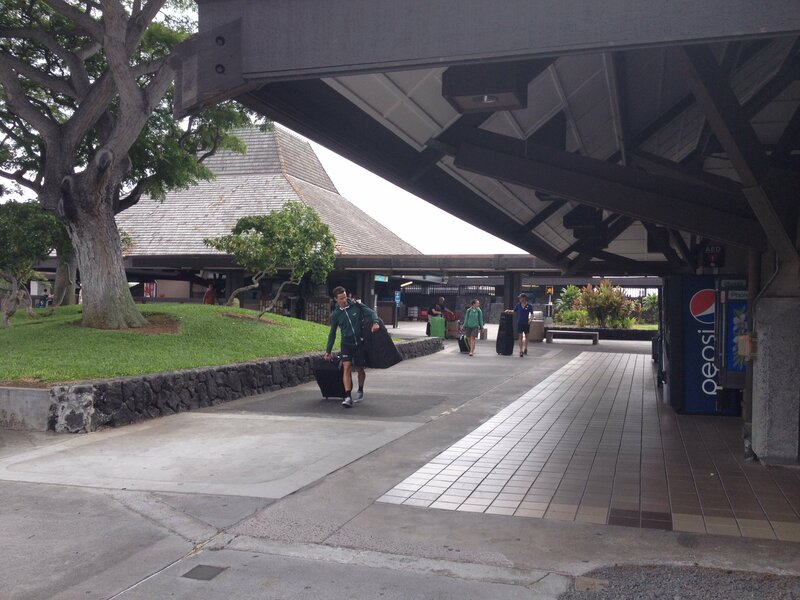 The Airport of Kailua-Kona with its “hut” terminal is one of the smallest and most special airports we know. To arrive here is always special. The first thing you are welcomed by is the Hawaiian heat ... it hits you already when you walk down the stairs from the plane. As we took off in LA, it was already really hot, but here in Kona it is extreme. 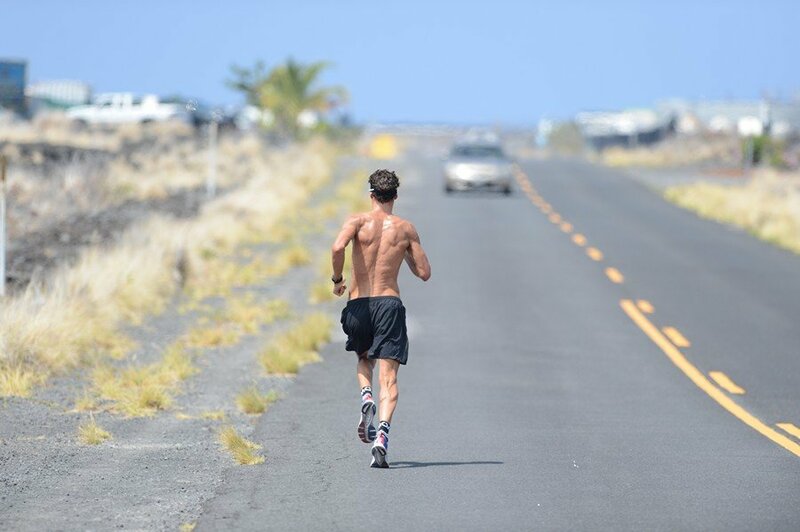 It’s extreme as Kona is extreme in many different ways… - climatic and also from the sports part of this journey. Even though we got used to the heat in the recent days in California, it is totally different now on the Big Island. It is even more special this year because we're both here for racing. 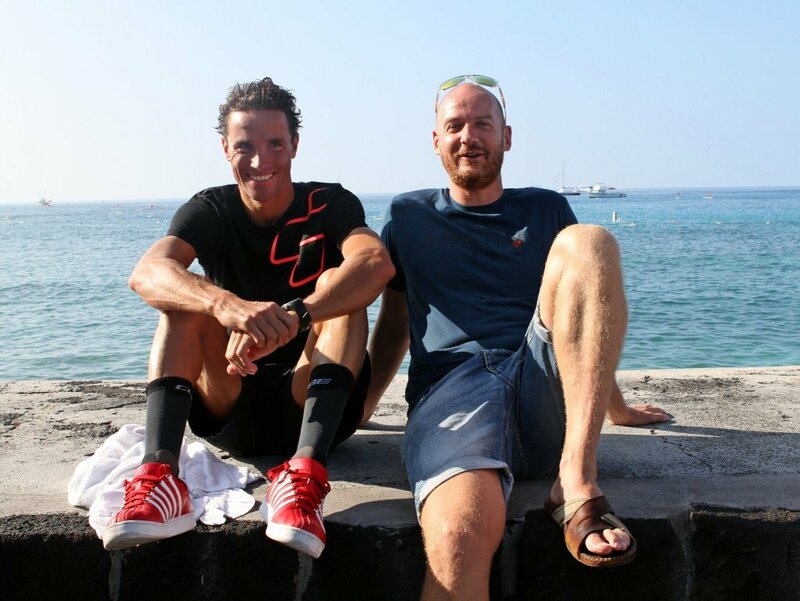 For the first time we both participate in the Ironman World Championships – that’s great. In the last two years, Micha has always been the supporter along the way, the one who takes care of everything. And now we'll both be at the starting line. It's a dream coming true that we are both allowed to be here. For us today begins the most important week of the year - we are really excited! 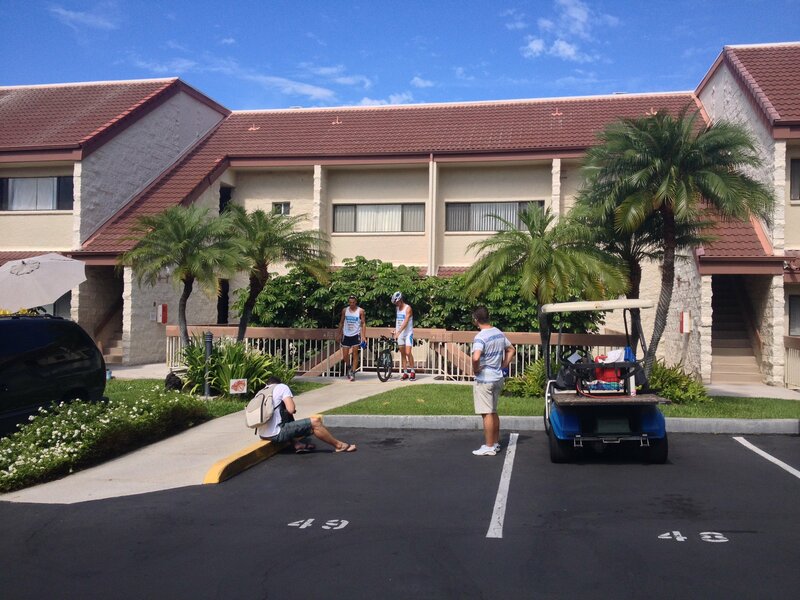 We check in at our hotel now – and then we will pick up our scooters for some islands tours. We are ready - to discover a special experience here in Kona. 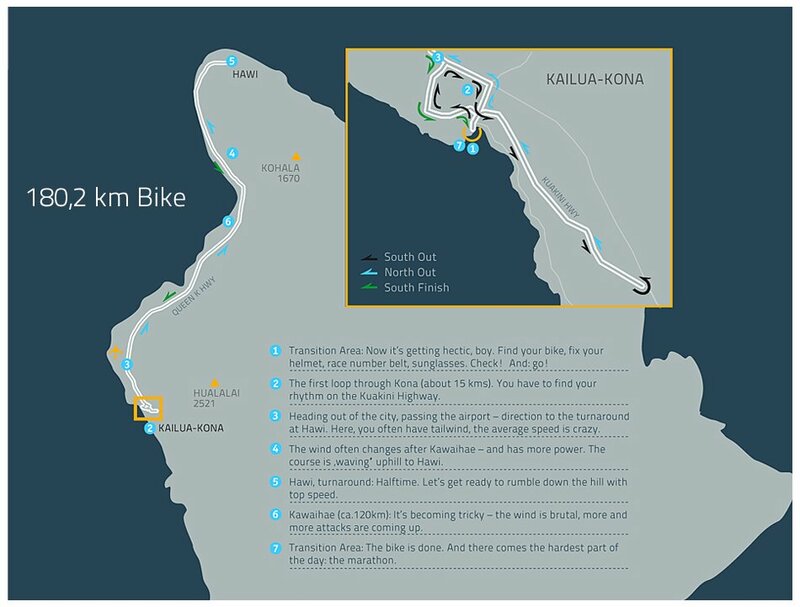 Kona Blog: Start 5th of october! The Ironman Hawaii is the big dream of the year for many triathletes - also for the Raelert-Brothers. In this blog you will get to know how Andy and Micha spend the days before the "big race" from Oct 05th on.